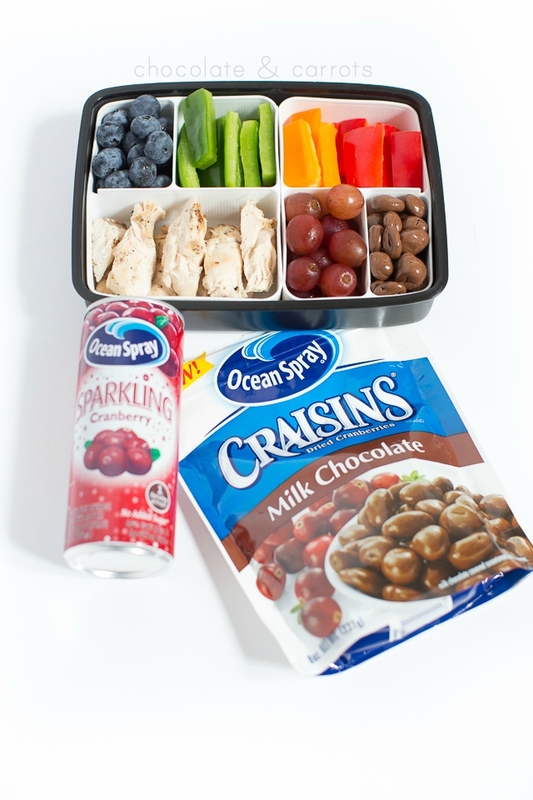 I’m excited to be partnering with Ocean Spray to bring you my best lunchbox tips and tricks! 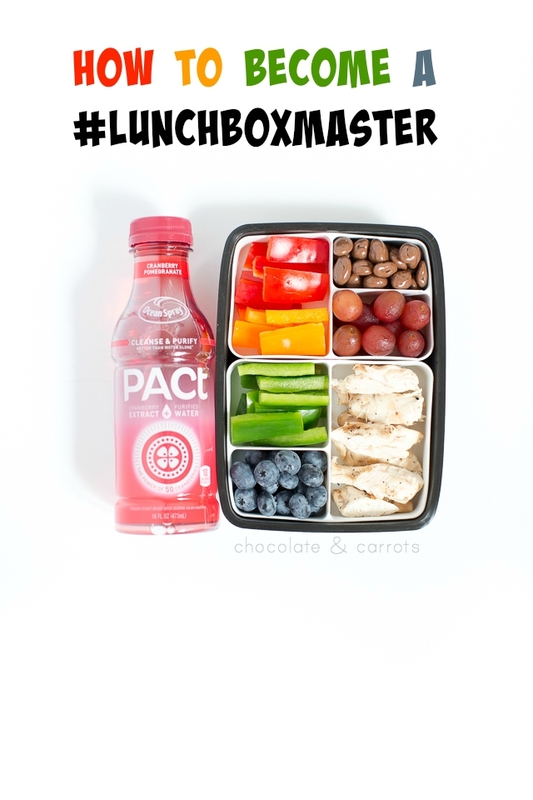 Are you ready to master the lunchbox? I first started packing my lunch in middle school. I wanted a way of eating healthier, especially since our school hot lunches always consistent of greasy fries and canned peaches. The motivation for health never went away and I continued to pack my lunch in high school and college. However, I got quite lazy in college with my packing skills. Typically, my lunchbox was a grocery bag that I threw an ice pack into. Boy, was that inefficient! I’ve learned a lot since then and I’m now packing my son’s lunches for school. My how time flies! Here are some lunchbox essentials and tricks that you may want to consider next time you pack your lunch! 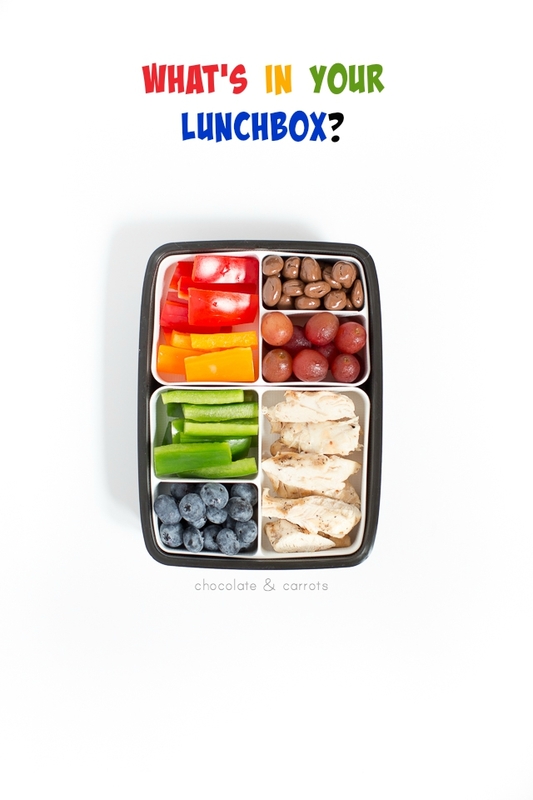 Pack the rainbow – I try to get a good variety of colors in the lunch box. Not only is this appealing to the eye, but it also helps lessen food boredom, ruts and also gives you a good assortment of fruits and vegetables! Eat the rainbow! Freeze your drink – It’s not necessary to invest in an ice pack for your lunch. Simply, freeze your drink (as long as it’s not a sparkling or carbonated beverage) the night before and pack it as an ice pack! It’ll be a cold slushy drink you can sip on the rest of the day and it will have done its job of keeping your lunch cool that morning. Hello, how delicious would a sip of sweet-­crisp cranberry juice be? Slice everything – Occasionally, I’d get lazy and pack a knife in my lunch to later cut up my foods. However, when you’re strapped for time during lunch hour, you don’t want to spend your precious time slicing your apples or carrots. 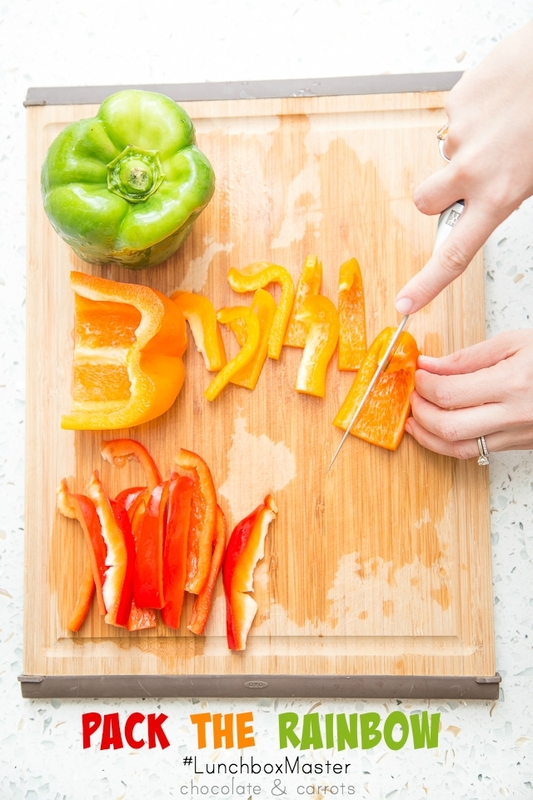 Prep all of your vegetables and fruits in advance. Store them in airtight containers in the refrigerator and be sure to dip those fruit slices that turn brown with air in a mixture of 1 tablespoon lemon juice and 1 cup water. This will protect them and make them fresh when you eat them a day later! To tell you the truth, just go ahead and prepare (wash, cut and store) all of your produce on Sunday for the entire week. You’ll have more time to enjoy your family in the evenings and have stress free mornings! Pack something sweet – I don’t know about you, but I have a sweet tooth. It helps me focus the rest of the day if I have a little something sweet to end my lunch with. I’m obsessed with yogurt covered dried fruits like Ocean Spray®‘s Greek Yogurt Dried Cranberries and don’t even get me started on the milk chocolate version. So good! It’s the little things that can make you victorious over any lunchtime challenge. Note – If you’re packing a lunch for someone else, it’s always a really thoughtful gesture to pack a note in their box. It shows them that you went the extra mile and are still thinking about them throughout the day! A little extra – If you know you’re going to have a long day, pack a little extra something that will carry you through the afternoon lull and get you through dinner. 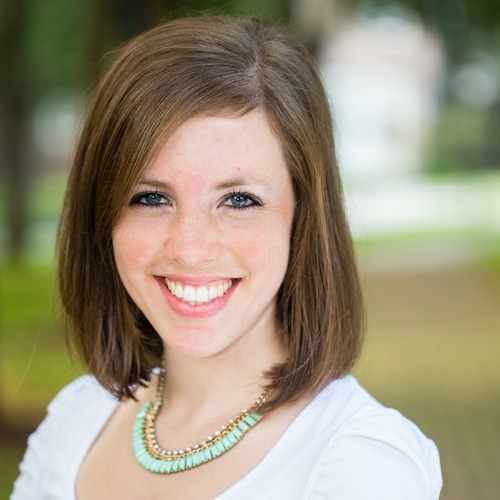 This will help you avoid the vending machine or spending extra money at the coffee shop! I love throwing in a little box of Ocean Spray® Craisins® Dried Cranberries or even making a homemade trail mix. Next week will be my first time packing a lunch for my little dude for school. Pressure’s on! What are your best lunchbox tips and tricks? Share them on twitter with the hashtag #LunchboxMaster and I’ll be following along! Also, fun stuff, you’ll be entered to win an Ocean Spray® Ultimate Master Lunchbox Set if you share on twitter using the hashtag. Contest ends September 18th. Good luck! This post was created in partnership with Ocean Spray. I was compensated for this post, but all opinions are my own. Please read my disclosure policy for further information.